Two weeks into the new financial year, Kamal was in a dilemma to choose between a financial planner and a wealth manager. Save your earnings. Don’t lose money on income tax. Get financial advice. Invest your money. Consult a financial planner. Hire a wealth manager. And what not, these were the advice from his social circle two weeks ago. The overwhelming amount of advice was the cause of this dilemma. And now he’s befuddled and frozen. Kamal is not someone who’s born with a silver spoon; he is just a salaried employee able to speak the language of Java. But he works hard and is determined to make his own silver spoon. You cannot let a random choice to decide the fate of your personal finance, can you? Financial planning and Wealth management: Financial planning deals with finances, finances? Unfortunately, this term paints the people’s mind with ‘running after money’; a huge misconception. On the other hand, wealth management is appealing and gives a sense of being elite. After all, we all want to be wealthy and there is nothing wrong with managing the wealth at all, right? further to know their differences. You know, because we don’t do anything on assumptions and our own understanding. Let’s start by understanding wealth management and work our way down to financial planning. Who knows, you could be of great help to someone like Kamal or yourself. Wealth management is the process of active management of one’s wealth to preserve and grow it, as necessary. This is done by identification of opportunities and execution of financial goals including short-term and long-term. It is a different dimension of personal finance. Though financial planning is for everyone, wealth management may not be for everyone. At every available opportunity, a wealth manager will be inclined to retain wealth and grow it. But the magnitude of how much wealth is grown is completely dependent on the temperament of the individual. 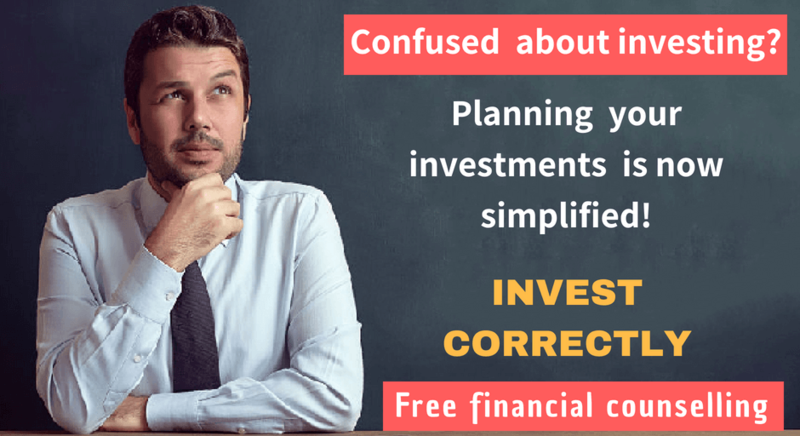 Let’s say you are financially independent for the rest of your life and have a surplus amount of wealth with which you don’t know what to do. It is a defensive or self-sufficient wealth management approach. With this temperament, you manage your wealth to retain it as it is and don’t want to focus on accumulating more wealth. This approach of wealth management is for the people who think they have more than enough and want nothing more. A person requiring this approach will be more inclined towards preserving than growing of wealth. A wealth manager for this person will invest his wealth in instruments that are more secure than appreciating. Wealth Ratio Allocation: 70% or more in Debt and real estate investments and the rest in equity funds. This ratio of allocation in his wealth management plan will be more appropriate for his temperament and risk tolerance. It is an offensive wealth management approach where you are not worried about—assuming worst case scenario— losing your surplus wealth and want to experiment new strategies. People who want to check their full potential as an investor also take this wealth management approach. . Consider a person who is a go-getter and wants to push his limits by trying new things. This type of person would choose the choleric wealth management. For him, a wealth manager would develop a wealth management plan with the wealth ratio allocation as follows. Wealth Ratio Allocation: 70% or more of the wealth in equity funds and the remaining in debt funds or real estate. As you can see, the Choleric Wealth Management is the diametric opposite of Phlegmatic Wealth Management. It is when you have characteristics of both Choleric and Phlegmatic temperaments. If you want to experiment with new things and at the same time do not want to lose the wealth you have, you can try more regulated experimentation with your wealth. Wealth Ratio Allocation: 40-60% in equity funds and the remaining in debt and real estate investments. Precise figure of wealth ratio will be chosen based on the scenarios and conditions feasible for the individual. Let us see a practical example of Hybrid Wealth Management as it includes both Phlegmatic and Choleric Wealth Management. Imagine a person who is, like we have seen above, financially independent. With all his financial responsibilities taken care of, he has more surplus wealth and he has a mixture of temperament. Let’s call him Mr. Narendran. Narendran is in obvious need of wealth management, and he even consults one. For his mixed choleric and Phlegmatic temperaments, he wants to hold on to a portion of his wealth, because “just-in-case” if he needs them in future. In the meantime, he also wants to experiment and explore the opportunities he can grow his wealth. In this scenario, a wealth manager will do the following objectives as part of your wealth management plan. Complete assessment of wealth becomes the first step in this scenario. The assessment of Narendran’s portfolio will give a clear picture of the total wealth of the person. It is a crucial step in wealth management and also becomes the deciding factor in the following step. If Narendran has higher risk tolerance; it opens up more opportunities to grow wealth. In this case, he is in the middle ground with average risk tolerance. A precise ratio is calculated to determine how much wealth should be retained in any case and how much can be utilized to increase wealth in full potential. As seen above under the three types of wealth management, the Wealth Ratio Allocation is highly dependent on the temperament of the individual and the scenarios feasible for him. Narendran would want to have 60% of his surplus wealth at all the time and want to explore growth opportunities with the remaining 40% of the surplus wealth. Hence, the ratio he wants would be 60:40. Based on the wealth ratio allocation, 55% of Narendran’s wealth will be invested in minimum risk instruments that allow for healthy retention of the wealth for a longer period of time. This is the area where a wealth manager will need the skills of a financial planner. For the remaining 45% of Narendran’s wealth, a wealth manager will actively look for and invest in high return investment instruments to increase the wealth in full potential. However, one has to keep in mind that high return comes along with high risk. In wealth management, a wealth manager will be actively taking the decision on your behalf to preserve and/or increase your wealth as per your risk tolerance and temperament. In addition, did you notice that none of the above steps is executed with a specific goal as a subject of focus? It is because wealth management is all about wealth preservation and growth. It may sometimes be used to achieve a financial goal, but it is not usually the best option to go for. If you are someone with specific financial goals, financial planning is your best bet. Compared to financial planning, wealth management is not a demanding task. At the same time, it cannot be as progressive as financial planning, which we are going to discuss in detail next. Financial planning is the establishment of a process for attaining your financial goals by a thorough evaluation of your current financial status and exploring opportunities to improve it. Financial Planning helps in prioritizing your long-term financial goals and creating wealth with a definitive financial plan. But what is a long-term financial goal? Your long-term financial goals are the life goals that are primarily dependent on money. You might want to live a rent-free life, which obviously requires owning a house. Your very own dream home would need a lump sum worth the amount of satisfaction and joy it brings. You can either take a home loan—which I do not recommend— or start saving. Either way, you will need a financial plan to not give up on your dream. A financial plan is nothing but a holistic plan that leaves no stones unturned to help you reach your financial goals. Whether your income flow is like a calm river or a rogue ocean wave your financial plan is your rudder to take control of your raft. A sound financial plan extensively covers all the aspects of personal finance with respect to your financial goals. It comprises of the following. The cash inflow and outflow obviously denotes your income rate and your expenses rate. Managing your income and expenses is the foundation stone of your financial plan, on which the financial plan is built. If you are earning ₹80,000 a month, you might spend 70% of it, which is about ₹56,000 for your expenses and save the remaining ₹24,000. In any case, if you need to save for a short term financial goal, say ₹2 lakhs in 6 months, it would be impossible with the savings of 30% a month. Also, it could cause the collapse the progress in your long term financial goals. The cash inflow and outflow monitoring step of your financial plan assesses and estimates your financial potential. Once you manage your income and expenses efficiently, your financial plan moves to debt management. Debt is an extension of your expenses that hampers your financial plan. Debt management focuses on minimising your interest payment. It supports your financial goals by making changes to payment schedule so that your debt does not become a hurdle in your progress. If you are held down by debt, debt management comes handy. Immediate repaying of some debts may help you financially, whereas the other could take a toll on your financial goals. Sometimes taking a loan becomes inevitable with all the commitments around you. In such scenarios, debt management helps you find out if the loan is avoidable or not. And gives you a projection for how the said loan can be repaid with your financial potential. Your financial planner might skip this step if you are debt free already. Although not giving into an attractive loan is also necessary. Risks are uncertain, and unpreparedness for risks will cost you a lot, sometimes everything. A natural or artificial disaster causing damage to your assets and life. Stock markets were never and they never will be stable. It is because the market stability highly depends on the investors’ behaviour among other things. Health risks do not even need a special mention, even terminal illnesses have become more common in this modern world. However, risk management in financial planning provide stability and secure your finances with regard to these uncertain risks. There are insurance investment instruments in the market today, that also claim to be tax saving. For anyone, insurance with secure investment would look like a win-win situation. But if you look at the returns along with the list of terms attached to the policy they are not really attractive. Read this simple Navjeevan 853 Review to understand better about this. 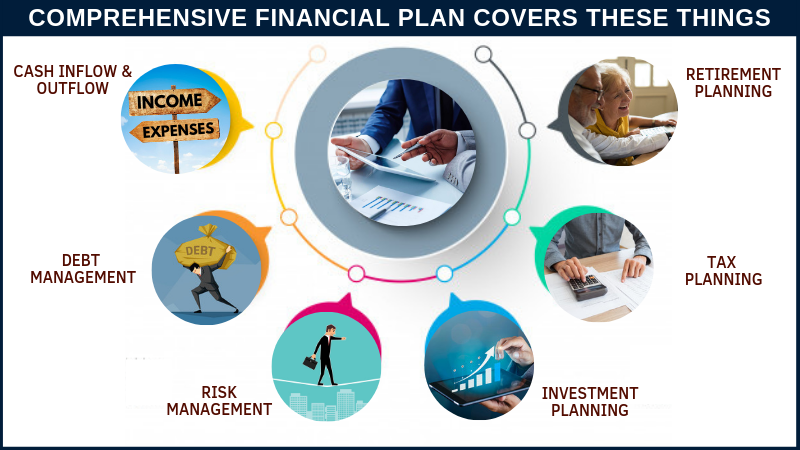 Whereas the risk management under financial planning finds risk management at the least possible expense so that you can focus more on financial goals than worrying about insurance and investments simultaneously. The next step is investment planning, often regarded as the core of financial planning. Investment planning varies depending on your income and financial goals. It is not one-time planning but continues till the achieving of your financial goals, sometimes even longer at will. Investment opportunities are many in today’s market, it is crucial to choose the right investment instrument that suits the best for your financial goals. If you invest in instruments only because they offer tax-saving security instruments, you’ll probably only cut on tax and see no tangible returns at all. On the other hand, if you go for high return day trading, the risks of losing your investment are extremely high. With big investment firms in the market backed by technical advancements, retail investors are like a seal in the middle of bull sharks. For retail investors, there is a middle ground: the equity mutual funds. Equity mutual funds yield higher returns than bonds in the long term and have relatively much fewer risks than direct investments in stocks. Tax planning is an auxiliary step that gives you more control over your cash flow and curb expenses. One peculiar advantage about the financial plan is; it can save tax where other approaches fail. Let’s say you are saving for a long term goal of 8years in fixed deposit, as it is a “secure” instrument. But the hook is, banks do deduct tax on the interest accrued. And if you have invested in the FD for an interest rate of 7%, after the tax deductions the return could be around only 4-5% on the principal amount. But SIPs in equity mutual funds are free of tax as long as they are invested. It includes both the amount invested and appreciation over time. Even though the amount you cash out is tax liable, you have the power to choose on how much to cash out to nullify the income tax. Retirement planning is the final objective step in financial planning. Ironically not everyone talks about their need for retirement planning when they first begin their financial plan early in their age. However, by achieving your financial goals one after another, everyone’s destination will be retirement planning. Fortunately, financial planning brings even retirement planning under its roof even if you miss to do so. One unique thing about financial planning is that with a holistic financial plan you can decide the age at which you want to retire. And there are no other financial services that can give you this power of choice. Financial planning is not only for the rich but for anyone with an income. 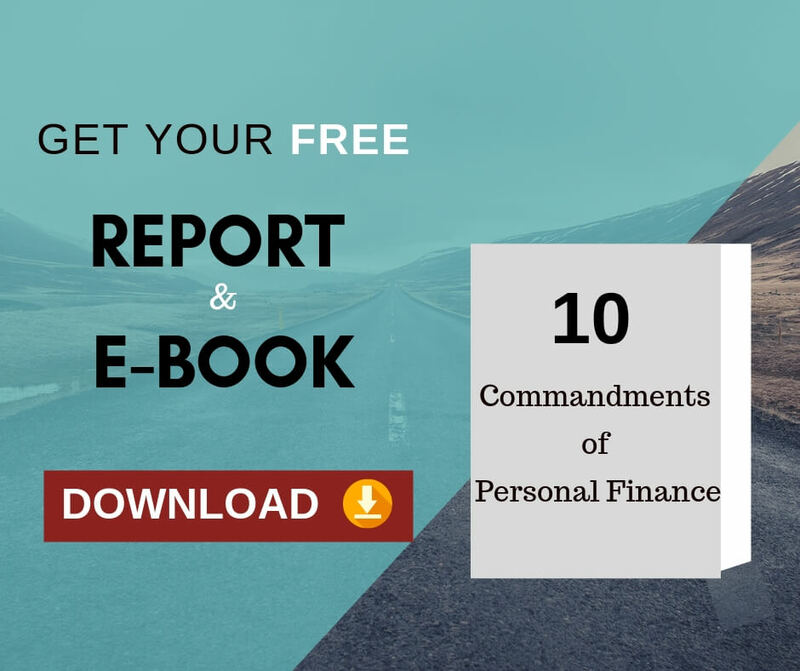 It is for anyone who wants to make the best out of the money they have, through personal finance, to meet their financial goals; be it short-term or long-term. Financial planning does it by taking your income, expense and savings into account and balancing them. Unlike another one, financial planning can help you attain your financial goals without actually investing in stocks. That is, you don’t need to be a stock investor to execute a comprehensive financial plan. Financial planning is completely goal oriented with objectives throughout the implementation of the plan. Hence, financial planning is not only for the wealthy; financial planning is how you become wealthy. 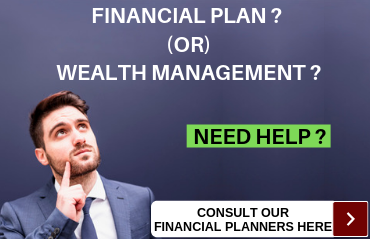 As said earlier financial planning is a holistic approach of personal finance, whereas wealth management can be considered as the next phase of financial planning. Here are the key differences between Financial Planning and Wealth Management. 1. Financial planning is goal oriented personal finance management 1. Wealth management is an opportunity-oriented personal finance management. 2. It is about creating strategies to create wealth and meet financial goals 2. It is about retention and preservation of wealth; and increase if necessary. 4. Passive wealth management. 4. Active wealth management. 5. A financial planner suggests pieces of financial advice with respect to your portfolio, financial goals and the preferred time period to attain them. 5. A wealth manager takes financial decisions only with respect to your portfolio. 6. Financial planning is for any individual who has an income. 6. Wealth management is only for High-Net-Worth-Individuals (HNWIs) and Ultra HNWIs. Wealth management is a good service to have, but wealth doesn’t come out of the blue. Without wealth opting for a wealth manager’s service will be like feeding a white elephant—nice to have, hard to take care of. Even if you have received good wealth through inheritance—would you be the person who enjoys the inherited wealth? Would you be the person who creates his own wealth with a proper holistic financial plan?